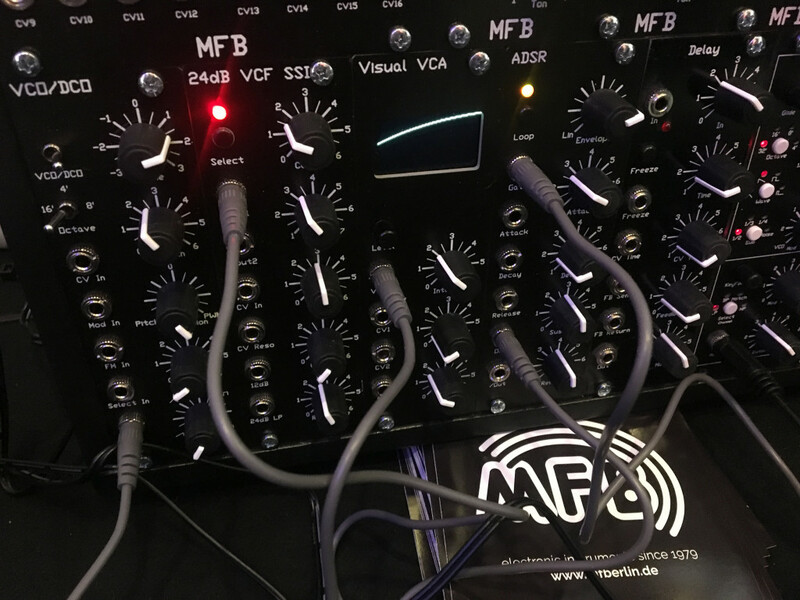 While big brands have focused on digital machines (or even software/hardware combos), MFB out of Berlin are the little boutique brand who have come out with a steady stream of analog boxes that are nonetheless compact and accessibly priced. And it’s not so much the fact that they have analog circuitry inside them as the fact that they’re different. 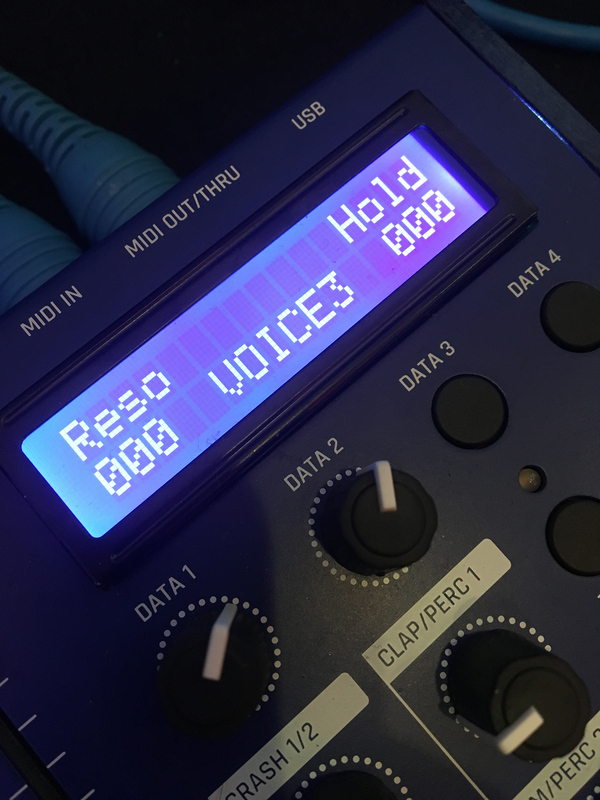 Those drum timbres will hammer through your music when called upon, just like the Roland classics and whatnot, but they also sound distinctive. And with so much music already made on the well-known machines, different is good. That said, for all the lovely sounds packed into any of these boxes, they all fell a little short of “must-have” – great-sounding but a bit fiddly and more focused on sound than performance features and sequencing. Then there was the confusing availability of two similar compact boxes, the Tanzmaus and Tanzbär Lite, alongside the Tanzbär flagship which was also … a bit similar to the other two. Well, forget all that: because even in prototype form, the Tanzbär-2 is a whole new beast. If Roland’s TR-8S and Elektron Digitakt look poised to be the live drum machines for the mainstream, then the MFB might be the best boutique rival. Or to put it another way – plug this thing in, and you can jam like a crazy person, with bassline and drums all ready to go. And it’s really compact, too – not exactly lightweight (though that’s okay when you’re jamming hard on it), but easily slipped into a bag with a small footprint. Really the only missing feature is, there aren’t internal effects … but that would complicate the design, and it does have separate outs. 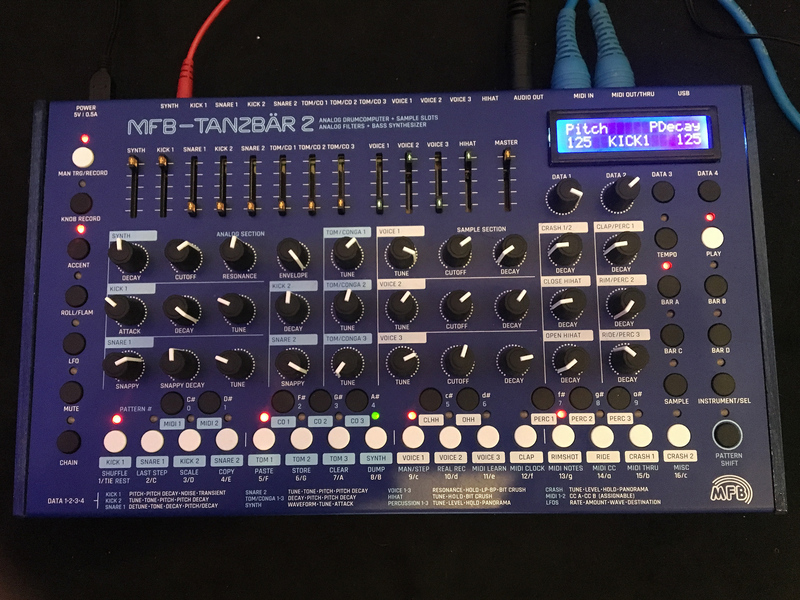 The TB2 is really three instruments in one. 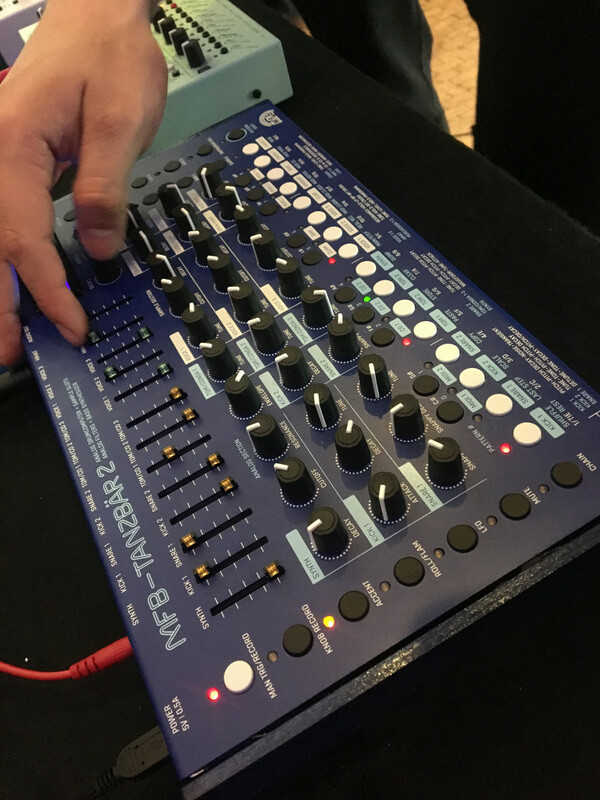 There’s a simple analog bassline synth. The analog percussion section houses kicks, toms, congas, and snares. And then a digital section handles hats and additional percussion – or load your own digital samples for more choices. Sounds about perfect. Faders! Dedicated outs! And it’s all really compact. Those knobs feel great, too, if you had a more fiddly experience with older MFB gear. I’m sold. 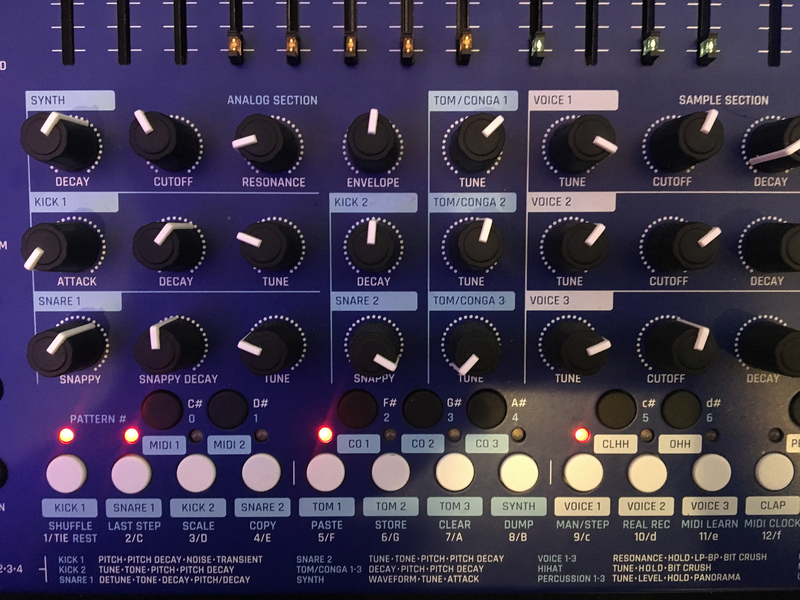 I think the fact that it includes a bassline synth internally is already great. I’ve got lots of questions, but they’re working on finishing this up this summer, so it’ll be better to make a separate trip to MFB after Superbooth. Then we can get some real sound samples without a convention going on behind us, and learn more about the details. Cost isn’t confirmed, but they’re planning for under a grand (USD/EUR). Given you could pretty much do all your live dance sets on this box alone, that sounds good.